This is the shocking moment a thief robbed a 93-year-old woman of all her pension money from her bra. 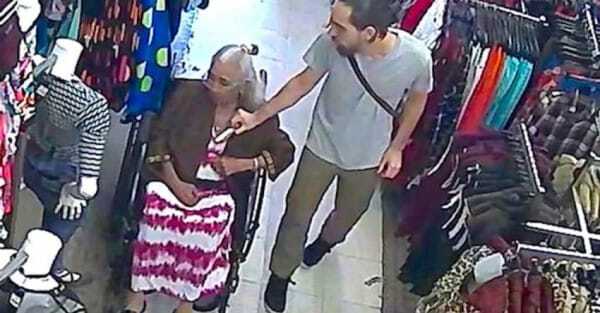 Maria Vasquez was targeted by a mugger at the Regines department store in New York on Wednesday, with CCTV footage showing a man slowly approaching Vasquez, who is wheelchair-bound, before snatching $600 and taking off. 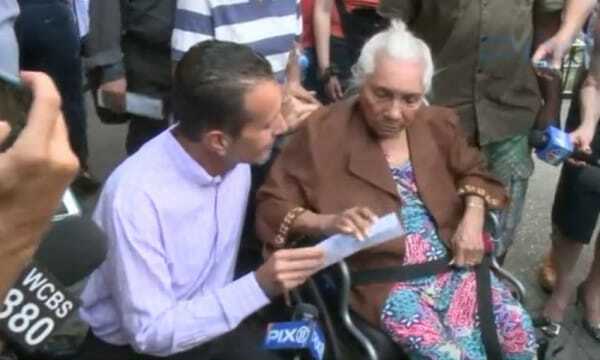 Moments later, her carer Felicia Reyes rushes to help her but it’s already too late as the thief has already made his way out of the store in East Harlem. I was scared. I wasn’t expecting it. He reached over and startled me, yanking the envelope from my bra. I just screamed, ‘run, run, he stole my money!’ I jumped in my chair because I was strapped in. There was nothing I could do. Vasquez went on to say that she believed the man saw her withdrawing money at a cash machine and planned to rob her. Josh Cohen, the store’s owner, gave Vasquez $600 on Friday and threw in the pair of sandals she had wanted to buy before the horrific attack. 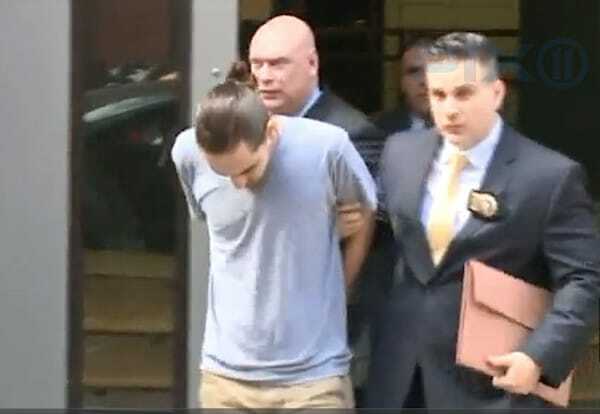 “I’m sorry for what happened to you, I hope this makes you feel better,” Cohen told Vasquez. Broyoan Lopez, 26, has since been arrested and charged in the robbery.